11 to 17 June was Carers' Week, a week filled with events, stalls, talks and groups raising awareness. It was a great opportunity for agencies to come together and share a common purpose getting connected with carers. 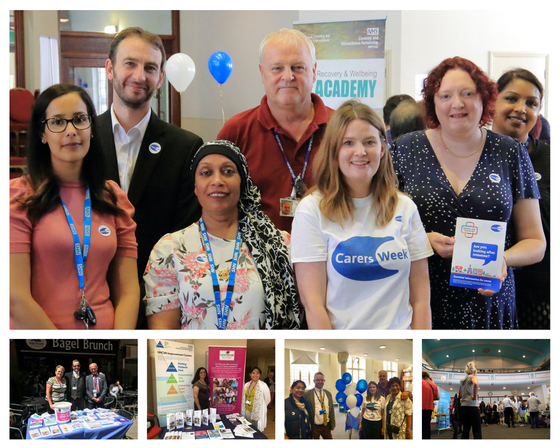 This year Carers' Week kicked off with UHCW holding it's first 'We Care Event', a patient and care involvement day showcasing new trials and initiatives across the hospital setting. The event was really well attended and an aspiration is to hold this yearly. On the Tuesday the Carers Trust hosted a 'pop-up' stall at Friargate for employees based at the building. Some really invaluable connections were made and demonstrated how many services are looking to improve their awareness of carers. June Cooley and Michael Howard from the Carers Trust made it onto the community radio to promote the week across Coventry and Warwickshire. Listen to their interview. Wednesday, Coventry City Council hosted a Carers' Information and Wellbeing Event, a really busy, well-attended event with plenty of opportunities to find out more about services in Coventry that help carers maintain their health, and practical support. This was a great coming together of services with a common purpose to support carers in Coventry. At the same time, Phoenix Surgery hosted their very own and first Carers' Event, inspired by the great working relationship they have developed with the Carers Trust through their GP Outreach service. Thursday, a talking clinic was held at Bagel Brunch, with opportunities to get information and advice from the Carers Trust Heart of England. Friday saw the first SEND Information and Support Services Carers' Coffee Morning, a great get together for parent carers and carers of children or young adults, supported by the Council and Carers Trust HoE. The group was well attended and the hope is that moving forwards it will become a regular session. The week finished off on Saturday at the wonderful Positive Images Festival at Fargo, a festival celebrating the heritage of Coventry. Carers' Week is an awareness raising campaign, as well as an opportunity to reflect on how valued carers are within Coventry and across the country. The popularity of the events throughout the week demonstrate the need for these events to take place throughout the year, so watch this space. A massive thank you to those who supported and those who attended an event! The Alzheimer's Society have a new date for part 1 of their Carers Information & Support Programme - Thursday 19 July (afternoon sessions) at Queens Rd Baptist Church. 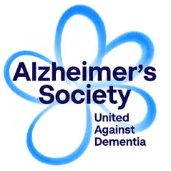 Places on the course need to be booked directly through the Alzheimer's Society on 024 7665 2602. The Alzheimer's Society CRISP (Carers Information & Support Programme) is a national programme. Enabling carers to have increased knowledge of dementia. Providing carers with practical information that they can use in coping with living with dementia day-to-day. Help carers to feel better informed and less isolated. Empowering carers to access support services and financial benefits and entitlements. Enabling carers to plan with and for the person they care for, now and in the future. If you are a carer and registered with the Carers Trust Heart of England, did you know you could register with the CarerSmart Club, an online service that offers discounts and concessions to carers. Registering is easy, you just need an email address. The CarerSmart Club is a national scheme, offering discounts in a range of different organisations, from breakdown cover, days out and discounts on home insurance. It’s simple! Sign up or view previous bulletins on our website.